Asset based financing is one of the most popular funding solutions for business owners. Entrepreneurs across industries and sizes often find themselves in need of funding. Whether there is a need to cover sudden expenses or simply buy new merchandise. Accessing business loans are a major option. Asset based financing is one of the most popular funding solutions. At Silver Rock Funding we are match-making service. 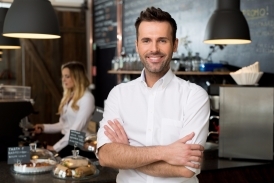 We connect small business owners with alternative lenders. These lenders are private investors –many are small business owners themselves. These lenders are eager to assist often-overlooked entrepreneurs. What is asset based financing? Asset based financing is a secure funding solution for business owners.This funding option is a form of financing secured by a company’s assets, which are used as collateral. Many business owners may have exhausted their borrowing limits with banks and creditors. For those entrepreneurs, asset based financing is essential. If an entrepreneur has merchandise, inventory, or any other assets, these can be used as collateral for funding. What are the stipulations to receive asset based financing? Asset based loans can be secured by business property or inventory. In general, if property is transportable and has value, it can be used to secure your asset based loan. That means that anything from real estate to vehicles are able to support your loan. In order to qualify for asset based financing, business owners must provide proof of income and time in business. This information is provided at the time of application. Approvals are also based on time in business. As long as you are operating for at least 3 months, you meet that requirement. If you have a less than stellar credit score, you are not disqualified. Where to get asset based financing? Silver Rock Funding acts as a matchmaker for small businesses and lenders. As an alternative to big banks, our lenders work to connect business owners with funding. This year, more than $3 million is available for entrepreneurs. Funding options such as asset based financing is approved quickly. Approvals tend to happen within 24 hours. Deposits of up to $500,000 are made within 72 hours. Simply submit your completed application at the Silver Rock Funding. Our funding managers will explain the various financing opportunities thoroughly. Let us help you. Previous Post: How to Get a Small Business Loan Without Collateral?